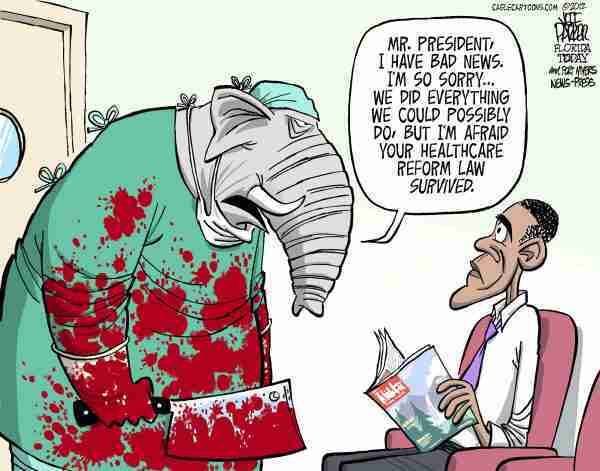 The Affordable Care Act was upheld by the Supreme Court this week. There are a lot of positives in this bill, although in some areas – like including a public option – it doesn’t go as far as liberals would like. From a conservative perspective, the bill forces choices on people and effectively raises their taxes, which is always a negative. What interests me more is the giant-step forward the government has taken again in influencing healthcare and contemplating whether it will be a positive or negative from a historical perspective. 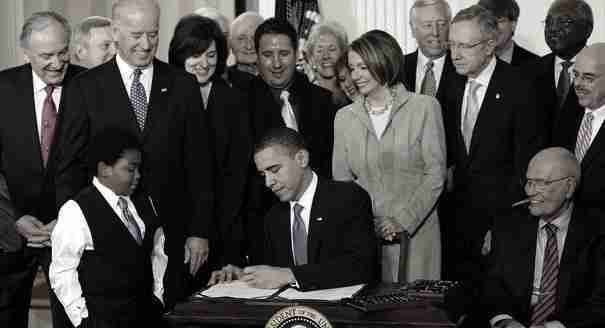 President Obama signs the Affordable Care Act into law on March 23rd, 2010. In the book Overtreated Shannon Brownlee explores the 500 – 700 billion dollars per year the US spends on unnecessary care accounting for 20-33 % of our healthcare costs and killing 33,000 people per year. I’m a third of the way through the book, which explores three questions. How can we create a better system? Many of the statistics and personal stories in the book are eye opening including the story of two cardiologists in California performing hundreds of unnecessary cardiac procedures with some patients transforming from relatively healthy to permanently damaged or dead in the process. A central theme in the book is that physicians and hospitals are paid more for providing more services whether they’re necessary or not. My hope is that this incentive system is on the path to extinction with concepts like accountable care organizations, population management, and others on the horizon. I’ve written in a previous post that I’d like to see the day that everyone has healthcare insurance. Reading this book has made me think a bit harder about what that insurance should look like. I’d like to see a system that forces individuals to make rational, cost-conscious decisions about spending money on their care, incentivizes cost-effective preventative measures, and provides some safety net from going bankrupt when encountering a costly illness. The goals may sounds simple, but the hard part is deciding the details. As an example, Medicare sounds like a great concept on paper (Who would deny the elderly insurance? Okay I know there are people that would), but I think there are some issues with the way government has implemented Medicare from its inception. Medicare drove more dollars into the healthcare industry and shaped the decision-making process of seniors in a warped manner. It became too easy to get care that isn’t necessary and led people away from rational, cost-conscious decisions. That doesn’t mean Medicare was all bad, but there are some details in its execution that I think could have been done better. How do we ensure that the Affordable Care Act doesn’t lead us down a similar path? There are some initiatives underway that are promising like increasing investment in comparative effectiveness research. If executed in a purely scientific, unbiased manner, that research may provide a framework for incentivizing specific healthcare actions over others. The harder path that I believe we as a country need to traverse is having a rational conversation over where we want to spend our healthcare dollars. The most difficult conversation may be deciding what’s appropriate spending on end-of-life care. This is where an enormous amount of our healthcare dollars are spent. Does that make sense? Should we really spend that much to prolong life for a few more months? That’s a very emotional conversation when you’re thinking about someone close to you that’s gone through that process or is going through that process. I’d like to see a debate outside of that emotional context. A large part of me says that I would be okay with not having extraordinary measures taken to prolong my existence at the end. Another part of me realizes that I’m still pretty young and maybe incapable of understanding this in the context of my imminent demise. Is the Affordable Care Act a positive or a negative? I don’t know for sure. While I previously thought it was undoubtedley a positive, I now think anyone claiming to know that answer for sure is a bit premature in their judgement. The effects of the law and whether is has a lasting positive or negative effect will be determined by the details of its execution and whether we as a country can move forward and have rational conversations about our future despite different perspectives and values.